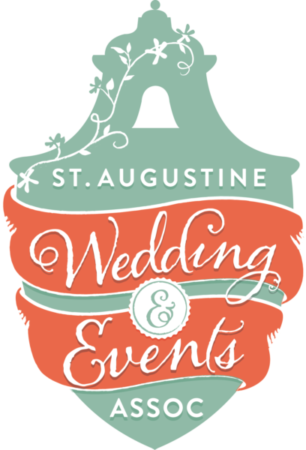 If you are planning a destination wedding and considering the St. Augustine area or any of the surrounding communities, you can count on the St. Augustine Wedding & Event Association to help guide and assist you with the details. Our day was perfection and it is all because of the professionals we worked with! I wish I could do it all over again! SAWEA is an active association in the Wedding and Events business. When vendors know each other, the events run smoother. You know that the other is a true professional and we all have one goal….the customer. There is a warm, teamwork, supportive vibe at each gathering! We are an association of wedding professionals who are committed to business excellence and professional values. As a member of the SAWEA you will enjoy benefits including monthly meetings with great networking opportunities, up to two listings on our website, collective advertising, and access to leads we receive from our website, bridal shows, or social media pages.